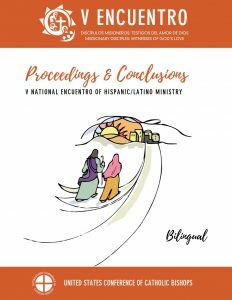 The official results from the consultation process of the Fifth National Encuentro of Hispanic/Latino Ministry. 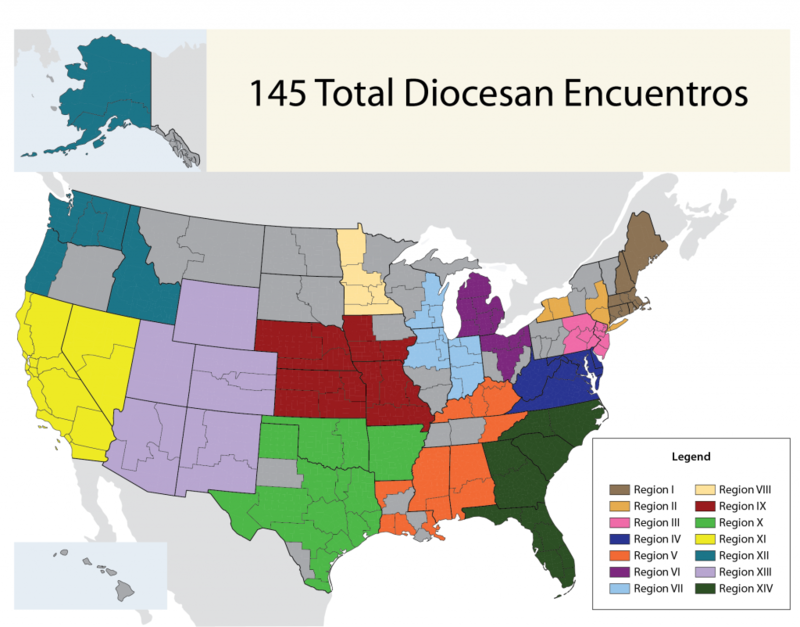 Do you want to find out more about the V Encuentro in your region and compare it to what was accomplished nationwide? Download the regional summaries below to find out! One of the goals of the V Encuentro consultation was to equip pastoral leaders at the diocesan, regional, and national levels with a better understanding of the Catholic population they are called to serve. The following document provides a national-level summary of the demographic, social, and religious findings. Visit each Regional page to view statistics and download PDF Piktograms for each Region. 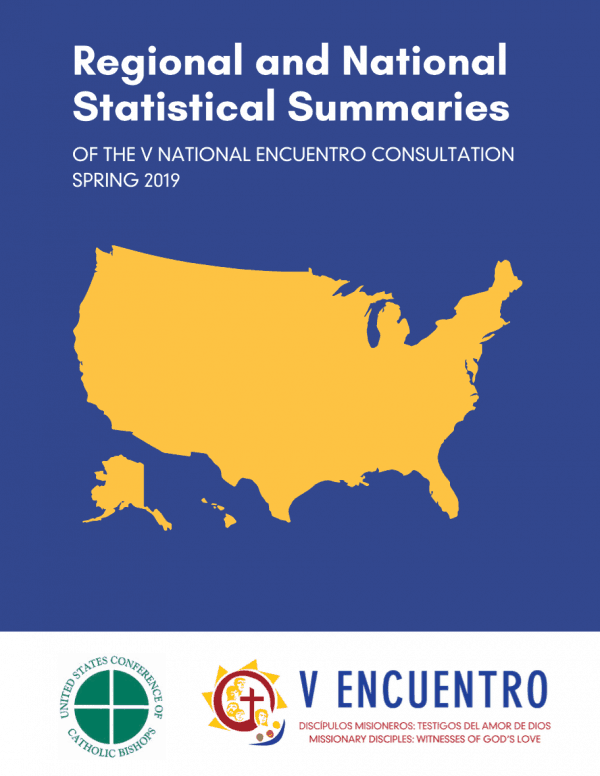 The reports above were prepared by the USCCB’s V Encuentro Research Team, employing a ground-breaking model for accurately estimating the Catholic population in every diocese in the United States by race/ethnicity and age group. This approach has been widely recognized for its innovative use of the best survey data to generate a level of detail that was never before possible. If you would like to know more about how this was done, please review the Methodological Statement, linked below. 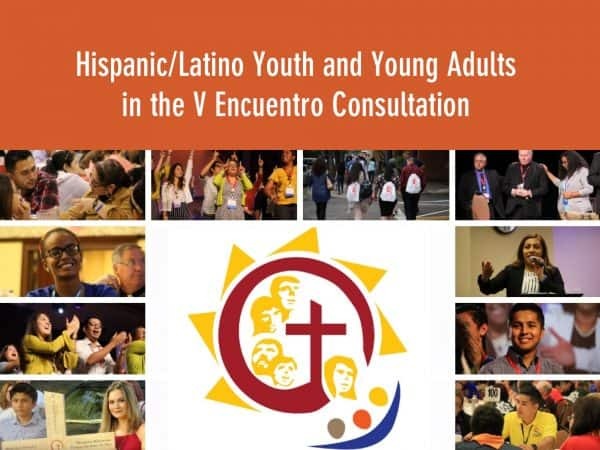 On December 8, 2018 Alejandro Aguilera-Titus, Ken Johnson-Mondragón, and Dr. Patricia Jiménez presented some of the V Encuentro consultation findings related to youth and young adults at The National Conference on Catholic Youth Ministry in Tampa, Fl. A condensed version of the presentation was also presented on January 16, 2019 as an NFCYM webinar. 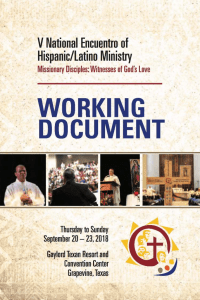 This document is the fruit of the missionary action, consultation, prayer and reflection of the Church that goes forth, embodied in the commitment and considerable efforts of more than 140,000 missionary disciples, each one of them a witness of God’s love. It was utilized for reflection and discussion during the National Event in September 2018. There is an increased awareness of the presence and needs of Hispanic Catholics among the clergy and diocesan staff. Dioceses are seeing major improvements in the attitudes and concern for Hispanic Catholics, starting with greater engagement from the Bishop. New pastoral initiatives are evolving and there is greater collaboration with other diocesan offices, especially Catechesis/Evangelization and Youth & Young Adult Ministry. “People who were alienated from the parish have come closer. People who have never led a group, now feel a desire to share their gifts. The communities and leaders with more experience are realizing that there is great potential in individuals who they have never considered or really seen before.” Glory to God!